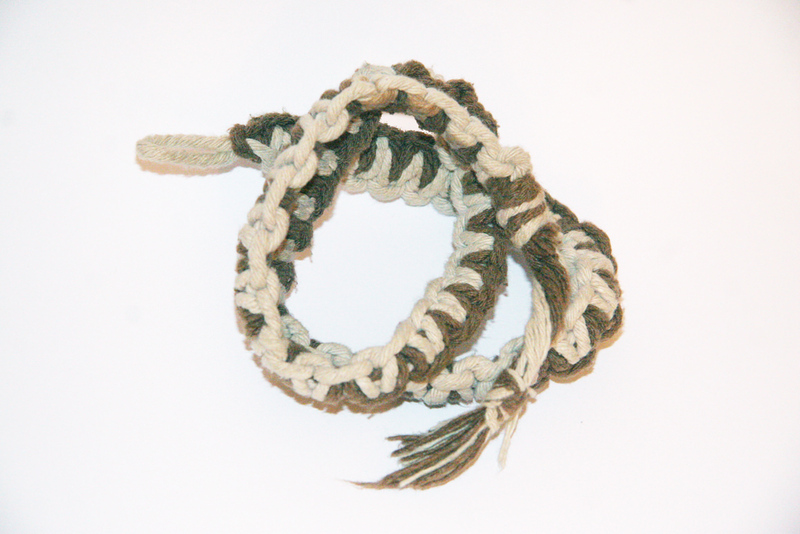 Leather keyfob Ball/ Base -Turk"s Head 7p*6b,and one pass additional Leather string for forming Pineapple Knot. 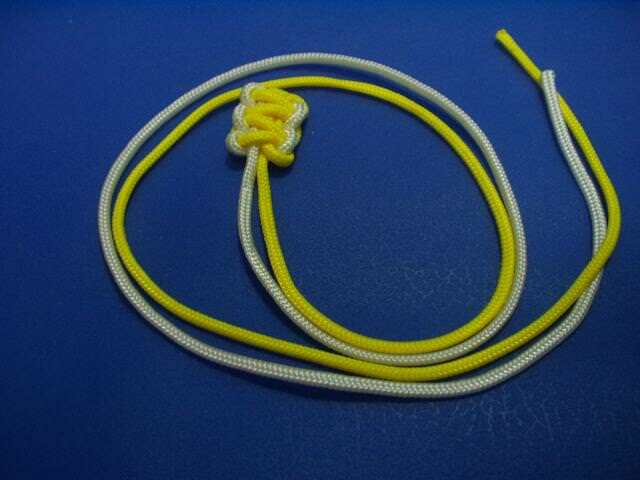 I tied one as well some time ago out of single color leather lace. Excellent PK,if I not mistake,it's 3 passes? Yes, it is three passes (single line) of a 7 x 6. 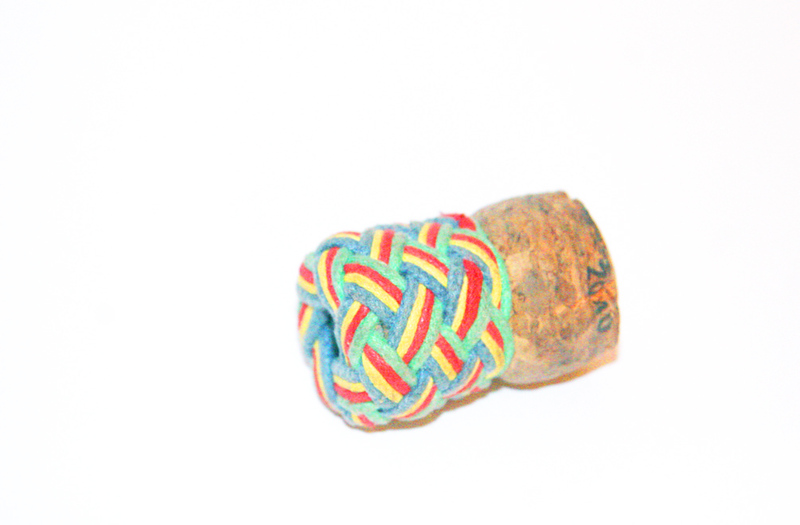 Barber Pole knot/Base 7*6 Turks head.Material-Leather Strips. They're nice Tony - must have a go. 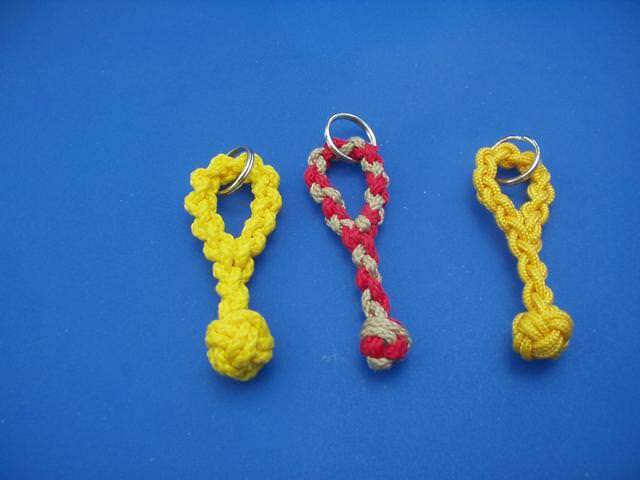 Leather keyfob ---start 4plait,continue Gaucho and Pineapple knot,and completed with Star knot. A handle for my garden gate. 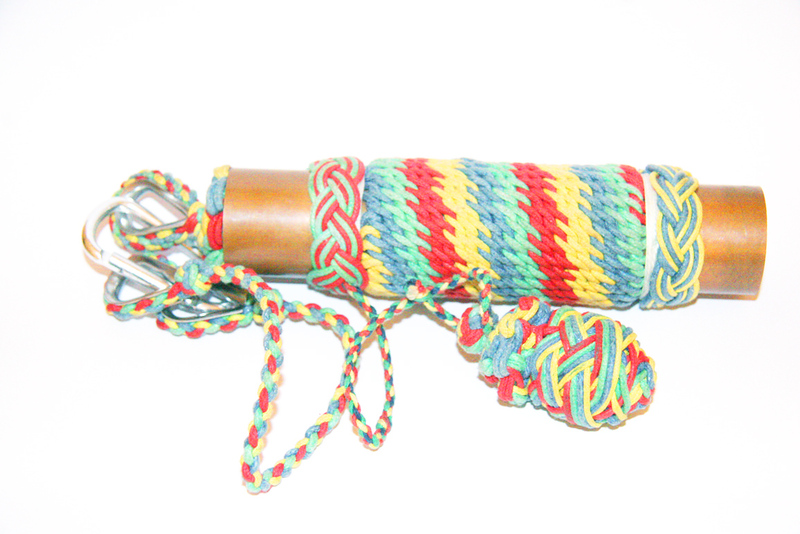 A 6 bight x 11 lead Turks Head with both ends closed to 3 bights, Each handle was tied in hand with a single shroud line from a retired parachute. PatDucey--Nice project for your garden. This is the earliest piece of decorative work I ever made which I still have. My mum got me doing some macrame and I made this belt. It doens't fit anymore, but I've still got it. 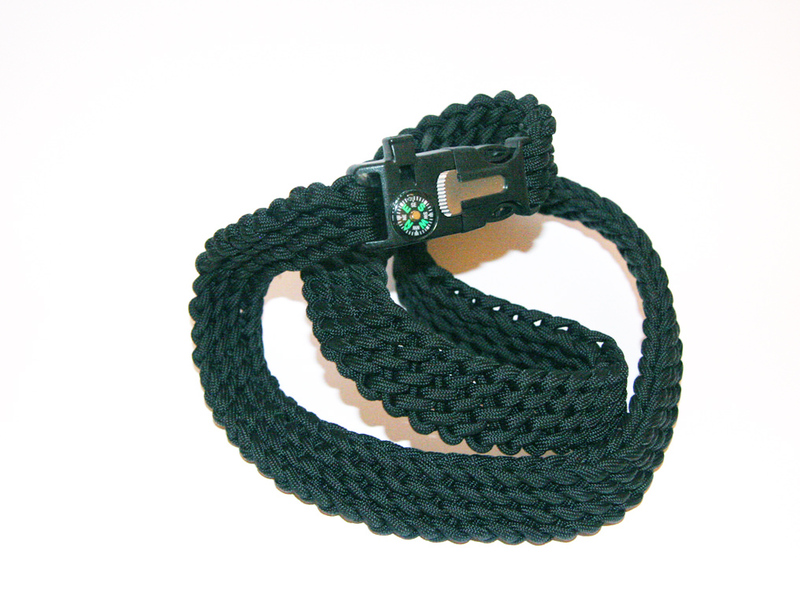 Much more recent belt. 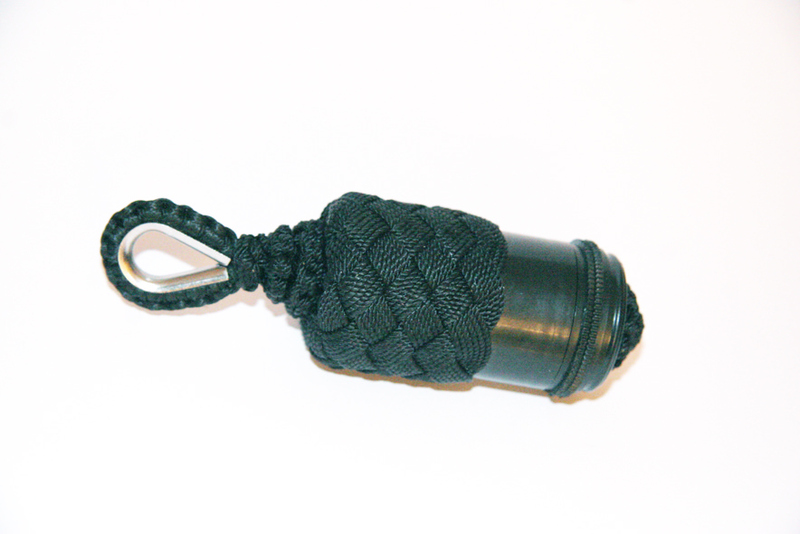 Slatt's survival belt with a survival tool-type buckle. This one does fit me! This is my fountain pen, used all day, every day (I'm a philsophy student, so really does see a lot of use) and consequently now looks a lot less new and shiny... It was my first piece of grafting, and I'm pretty happy with how it turned out. I had lots of advice and emails from Vince on this one, so credit to him. 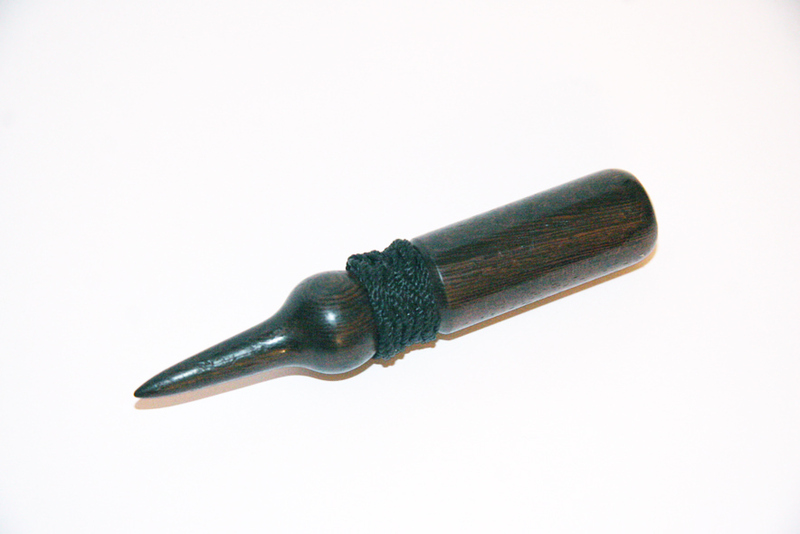 This is my pricker, made up around a big sailmaker's needle, for REALLY big sewing. And for actually doing the sewing, this is my needle case. plg's are based on Vince's, with turk's heads around them. This is probably the piece I'm proudest of so far. It's a case for pins (again, for actually doing sewing), containing no less than seven star knots. It was meant to be part of a 'series' of tools and cases/pouches, each thing wih a loop or gromet etc. 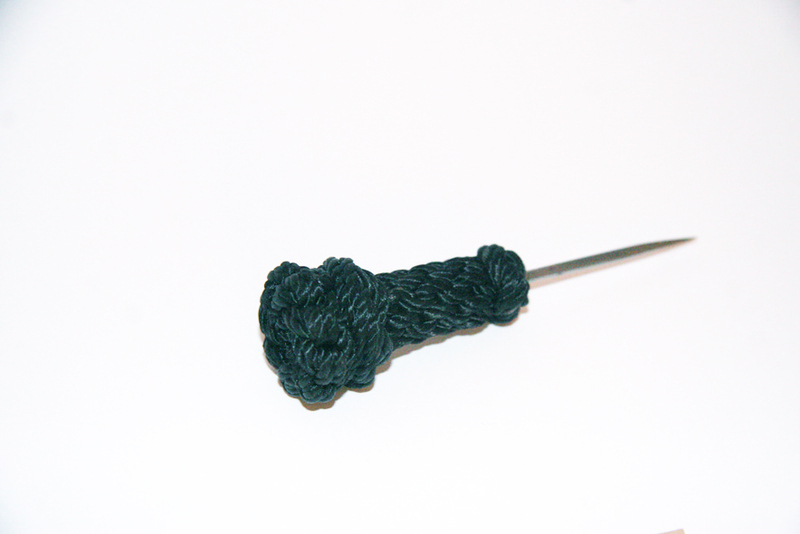 on it so it could be clipped onto a ditty bag that I'm eventually going to make (SBOP), but unfortunately I lost it. So I've designed another one, which is a work in progress at the moment (SBOP). 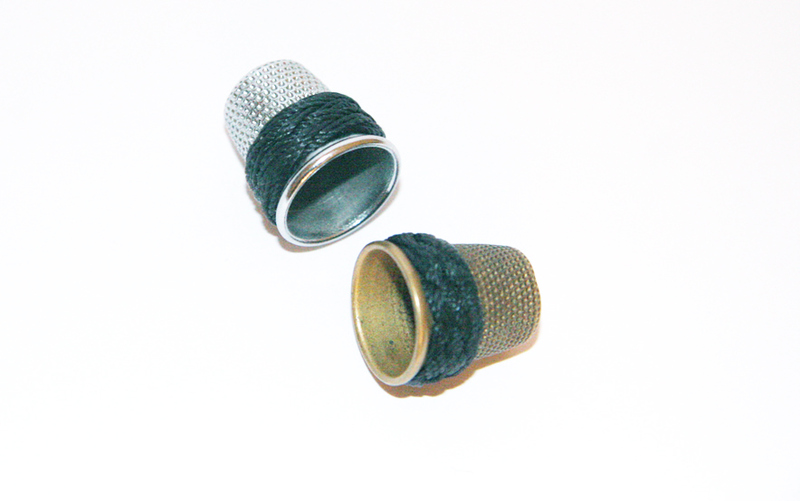 The lid can be removed, and then reversed and replaced, with a pin cusion embedded inside it (so that the pins point 'up' when it's closed). This way, the pins don't rattle around when the case is moved. 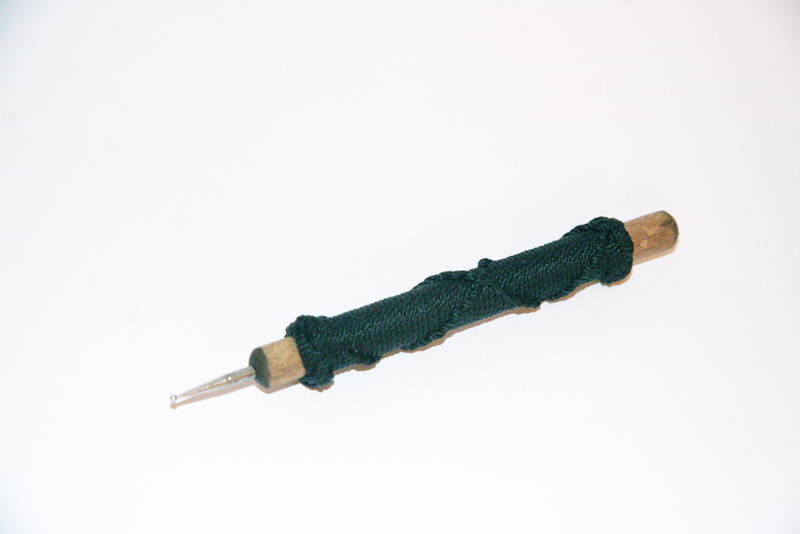 Survival Bracelet I've got lots of friends with paracord square knot survival bracelets, so I decided to make my own... with a nine strand O2U2 braid and some half round braids to make a thief knot. 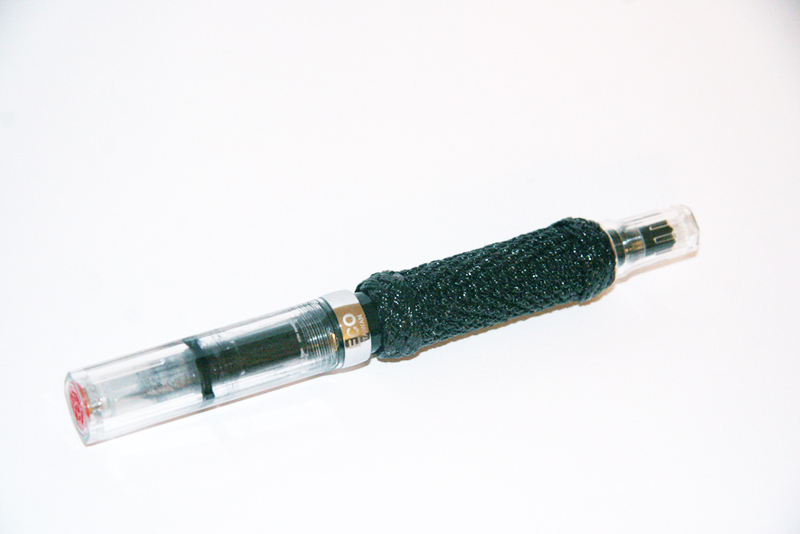 I've got a really clever clip lto hold it together, whenit opens there's a universal handcuff key hidden inside. Hello Everyone,I wanted to share with you My gallery. I been knot tying for a while,mostly decorative knots. I wanted to show some of my stuff I made.